Recruitment is ultimately a ‘people’ business. It is not for the faint-hearted - but for those with the desire and hunger to achieve success it can be an extremely rewarding career. 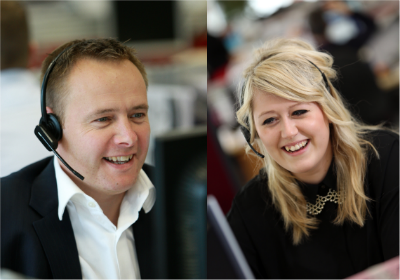 What's it like to work for Resourcing Solutions? The recruitment consultants that enjoy the most success are the ones that thrive on the interaction with others, the fast pace and the high energy of our industry. We employ people who are passionate and proud of what they do; natural networkers who are capable of building a reputation for expertise and excellence. Our support staff are focused on delivering excellent support to the recruitment services that the company offers and playing an integral role to enhancing our reputation as the first choice consultancy of our clients and candidates. We aim to be an ‘employer of choice’. A business that attracts, develops and retains talent. We are passionate about delivering an exceptional service and are committed to ensuring that each of our employees reaches their full potential. The combination of these three things in providing engineering and construction disciplines within rail, power and the built environment, and our ability to listen and consult to manage expectation at the outset, and then deliver against it, give Resourcing Solutions its unique selling point. Resourcing Solutions has consistently posted profits in every year since inception despite extremely challenging trading conditions and rapid changes in the business landscape during this period. Resourcing Solutions is a Thames Valley Top 250 Business. We are currently sitting at number 87 with a turnover of £46.1m. We are the highest placed recruitment business on the list. Resourcing Solutions run and maintain Investors in People (Silver Award). Resourcing Solutions run and maintain a quality management system BSN ISO 9001:2008. Resourcing Solutions currently trade with six out of the UK’s Top 10 construction contractors. Resourcing Solutions has recently been awarded supplier status to the Network Rail Contingent Labour Framework, a national agreement with the UK’s largest employer of rail personnel. Resourcing Solutions has been appointed to supply exclusively the UK’s largest rail project, High Speed 2, for the supply of senior staff in two key areas (Project Controls & Planning, and in Project Management). Resourcing Solutions has the support and back office platform to achieve its strategic plan of growing the business by June 2018 to £77M. We want to be the first choice consultancy for our clients and candidates through exceeding their expectations in the provision of recruitment services in our chosen specialist sectors. We understand that our critical success factors are to attract and retain great staff, manage awe-inspiring performance, attract the right candidates, and develop deep and meaningful client relationships. Our focus is on these critical success factors. If we become the best we can be at every aspect of what we do, we will achieve our strategic goals. We want to make sure we really stand out when it comes to the value we provide to our customers. We have recently rolled out a unique candidate attraction initiative which will enable us to engage with candidates before they are active on the market. This tool uses the entire suite of digital communications and will also provide a rich source of market intelligence that will help us consult with our clients and contribute to their strategic thinking on how they cope with skill shortages. We see a key part of our consultative role as being to give them a competitive edge in the war for talent through providing insights into how they can develop their employer brand. We do this through competitor analysis, establishing why people are leaving companies; why people are joining companies; and intelligence on hot topics such as attracting more women to engineering/construction/senior management roles; attracting cross trainable talent from other industries etc. In addition we can provide market intelligence to jobseekers with data on remuneration, as well as provide them with the facility to be a passive candidate while keeping a careful watch on roles that are relevant to their skillset. We believe that if we are to deliver the level of service to our clients and candidates, that will produce the desired financial returns, it is vital that everyone in the company fully understands and engages with its sense of purpose and shares in its success. We have recently developed, on a single piece of paper, the statement of our shared values, as well as a crystal clear vision and mission, and how that translates into ‘Here and Now Objectives’ and the ‘Positive Outcomes’ for the current year. This provides clear purpose around why we are here as a business and enables each and every one of our staff to understand why they have been employed, and how they can translate their roles into the over-arching corporate objectives. We are open about how challenging it is to compete and come out on top in our industry, and that in order to do so anyone thinking of joining us needs to share our values, which is defined by our values statement to “deliver our maximum through working with PRIDE and as a TEAM” where PRIDE is an acronym for taking Personal Responsibility In Delivering Excellence, and TEAM is where Together Everyone Achieves More. We also know how important it is to be inventive about how our people share in our success and we constantly adapt and change our reward and incentive schemes with the aim of delivering fresh rewards that are genuinely valued. Last year, we introduced a unique offering to Resourcing Solutions. Our ‘Purple Cow’ initiative incentivises staff on work life balance through rewarding those who can exceed the required outputs of their job role with a range of flexible working initiatives. This supports our aim to become the local employer of choice when it comes to attracting and retaining staff. Purple Cow offers opportunities for home working and additional annual leave (up to 37 days in total). Support staff get their birthday off in addition to their annual leave, and all staff get a thank you on every anniversary of their start date through receiving a professional clothing allowance. This has the added benefit of lifting the standards of professional attire in the company. We have a whole range of incentives and initiatives that reward both individual and team performances. These include monthly and quarterly Outstanding Achievement awards. We also recognise and reward our Employee of Year, Best Newcomer, Most Improved, our Top Performers in recruitment sales. There is a VIP club that runs luxury days out for winners of these accolades, along with an annual VIP Away Day, and an annual VIP Luxury Weekend Trip (abroad) too. In addition we also run annual bonus schemes payable when the company achieves budget. This is to promote a team ethic and a “we’re all in it together” ethos. As a company we have an annual Summer Ball where partners are invited too, an annual Company Conference, and a Ministry of Fun which is run by the staff for the staff with a wide variety of events subsidised by the company. The constant challenge of recruiting staff with the right DNA has led us to set up our own training academy. This enables us to attract college leavers as well as people considering a career change and provide them with the opportunity to train in recruitment with the full support of personal development plans from the day they join to the day they leave. External Training Courses are sourced where a training need is identified that cannot be delivered in-house. Qualifications - Resourcing Solutions encourage staff to develop their skills and competencies and so sponsor internal candidates to gain industry qualifications where it is considered it will help them in their job role. Over the past year we have sponsored 22 number of employees in gaining industry qualifications. Losing staff is a heavy cost to any business. We have developed a support mechanism that looks to support staff who are struggling to perform at the required level through identifying the root causes and working with the staff member to train, coach and develop to get their competency up to the required level. We want all our people to have a voice in Resourcing Solutions. Through the Business Improvement Group, Ideas forum, and the 100 Days Survey we look to receive constructive feedback on any issues, problems or areas for improvement. We conduct regular staff surveys and set up working groups to improve our working environment and culture.